Did you know that 2 billion messages are being sent monthly between people and businesses on Facebook Messenger, both automated through chatbots and people-initiated? Chatbots, or simple artificial intelligence (AI) systems that simulate human-like conversations based on pre-programmed responses, are becoming a huge hit, especially in digital marketing. 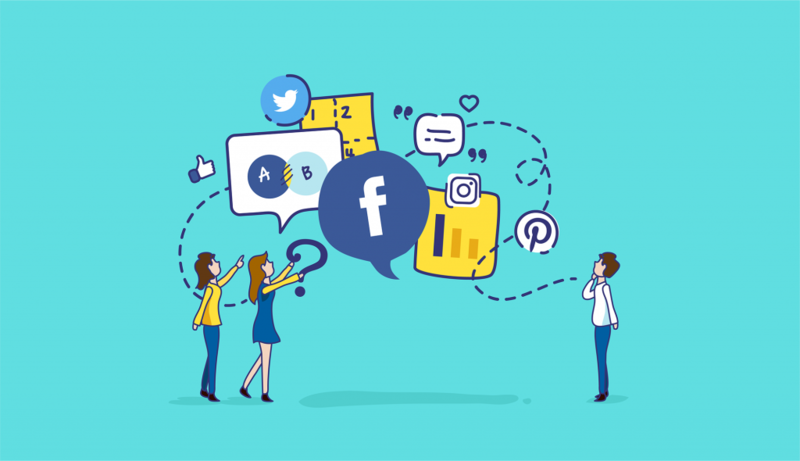 More brands are using this tool to stay connected to their audience, offer great customer service, and drive their lead generation through marketing automation. In an ever-evolving digital era, it’s important to remain fresh and current in your strategy to engage today’s consumer. As a marketing manager or SME business owner in the UAE, leveraging apps like Messenger and its chatbots shows you stay up-to-date while inserting innovative ways to reach your audience. In fact, here are four reasons why chatbots will become the future of marketing and the need to implement chatbot marketing into your digital strategy. Did you know one-third of millennials prefer to communicate with brands using social media? Also, Facebook notes 56% of people opt for messaging rather than calling customer service. Implementing chatbot with Messenger, WhatsApp or WeChat allows you to give your customers more of what they want: communicating with you through the simplicity of social media and texting. This is highly useful for answering general questions or inquiries that don’t require a lengthy phone call. As people desire and seek better customer experiences from brands, messaging confirms you value their business, time, and aim to create these positive experiences. So, power your messaging strategy through chatbots! With over one billion people on Facebook Messenger, it’s safe to say that your target audience is using this tool to stay connected. You must be in the places where your ideal customers are having conversations…and that means paid advertising on Messenger. Creating ad campaigns on Facebook Messenger and using chatbots to fuel this strategy will effectively drive traffic to your landing pages, increase lead conversions and create more opportunities for sales. You’ll extend your reach and influence, thus boosting brand awareness and visibility for your business. By starting your Facebook Messenger ad campaign, you’ll enrich your overall digital marketing strategy. At the heart of inbound marketing is sharing valuable content with your audience and building authentic relationships. Social media and email marketing have always been viable ways to hone these relationships with your followers and leads. Yet, through the use of chatbots, you can leverage marketing automation with your social strategy, for example, to keep conversations going. You see, chatbots allow you to be proactive and reactive through the customer journey, creating better experiences from your brand. Additionally, these conversations further humanize your brand, making you relatable. People crave authenticity and transparency from content. Your continued responses show that there is a real person behind your brand name. It cements trust, credibility, and inspires users to remain connected to your business. Your sales process doesn’t end with the sale. Customer retention and loyalty are key ingredients to creating a long-term sustainable business. Following up recent consultations or investments is an excellent customer service strategy that improves your brand’s credibility, adds value to your product and gives you a chance to continue building a relationship with your client. Additionally, 65% of companies are able to successfully upsell or cross-sell to existing customers. Making contact with your client after the sale, whether through social media or your email marketing strategy, positions you to share other products or services that complement their order for even better results or experiences. Your chatbot can do just that! It’s the perfect tool to effectively follow-up, amplify your customer service, and grow your sales. You’re conveniently engaging your customer in an efficient way while showing that you’re available. Chatbot marketing for your local business presents a tremendous opportunity to grow your business and provide better experiences to your customers. As a result, you’ll boost your lead generation, brand loyalty, and sales. The advantages are far too compelling to ignore. Are you looking for innovative ways to advance your digital marketing goals for your business? Reach out to us for a free consultation! We can help progress your leads and sales generation to increase your bottom-line!